It wasn’t too long ago — the Mark Helfrich era — that when Oregon lost a couple of highly coveted 3-star recruits, a symbolic ”Fall of Rome” would occur in Eugene. That’s right folks, have no fear over the recent decommitments of 3-star recruits Marques Caldwell and Cameron Williams. Not only that, celebrate these decommits as a monumental moment in the annals of Oregon Football. Cristobal is proving that decommitments can be a good sign. These guys didn’t decommit as a result of dysfunction within the Oregon football program, but for the exact opposite reason. Oregon is a well oiled football recruiting machine, and they simply weren’t good enough. After the commitments of Caldwell and Williams, Oregon brought in the fourth and sixth nationally ranked cornerbacks in 4-star prospects MyKael Wright and Jeremiah Criddell. 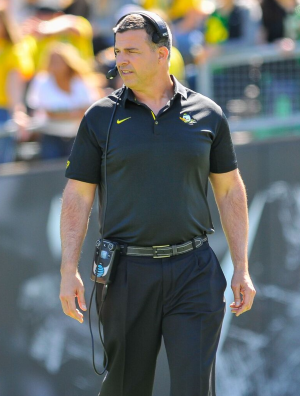 That’s right, the red-hot Ducks brought in more highly-rated recruits at a position of need. The fallout? The lower-rated guys saw the writing on the wall, and they bolted. Now, this isn’t to say these Caldwell and Williams wouldn’t have been successful with the Ducks (Williams could still end up in Eugene, mind you). They may well turn out to be excellent college football players, maybe even better than Wright or Criddell. But why risk staying at a place that is injecting premium talent at your position when you can go somewhere else and have a much better chance to get serious playing time? As for the lower rated guys that stick around with the Ducks, they might just be the guys who play with a tremendous chip on their shoulder because they weren’t as highly recruited. You can never have too many pissed-off guys on your football team (so I hear). 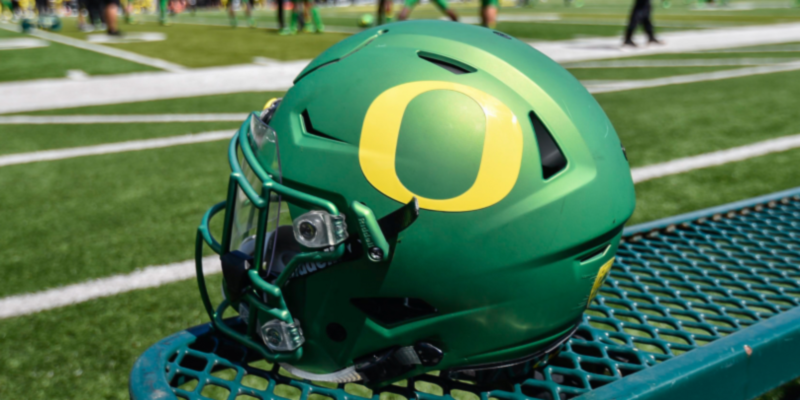 The Ducks are now ranked in the top-5 nationally in the 2019 recruiting class, having recently pulled in the number-one ranked JUCO transfer in offensive lineman Malaesala Aumavae-Laulu, and 4-star receivers Josh Delgado and Lance Wilhoite. This is a new chapter in the history of the Oregon football program, and an excellent problem to have. Dare I say it: there is an embarrassment of riches flocking to the Ducks right now. We enjoy these riches with a strong dose of humility, as we know how quickly the fortunes of a program can change, both good and bad. Pac-12 football could win big in Vegas. 1) Bowl Games: The Pac-12 has long had the worst bowl pairings of the Power-5 conferences. Probably the biggest reason for this is a lack of top-end pro stadiums in sunny places out west. Los Angeles never had a real NFL stadium, and San Diego’s Jack Murphy Stadium (original name) has become so outdated it’s made the once exciting and prestigious Holiday Bowl completely irrelevant. Hence, the Pac-12 has to send to its second-place team to San Antonio. Yeah, that’s in Texas. Look for that second-place bowl contract to switch to Las Vegas, possibly with a SEC opponent (pretty please), as well as a new or revived “Holiday-esc” type bowl game in Los Angeles. 2) Kick-off Classic: It would only seem inevitable that a prominent early season “kick-off classic” as occur in Dallas and Atlanta, would be established on the west coast. The most logical choice is Vegas, and such an event would be great for conference exposure and revenue. 3) Pac-12 Championship Game: for reference’s sake, look what Sin City has done for the Pac-12 basketball tournament, it’s impressive. 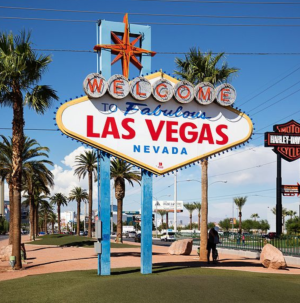 And, with enough grand scheming – er, I mean coordinating — some early season, high end non-conference Pac-12 basketball games could be scheduled in Vegas the same weekend as the football championship game. Maybe even a PK-80 type of early season hoops tournament. That would make for one gloriously action packed Pac-12 sports weekend. What happens in Vegas just might make the Pac-12 a whole lot better.